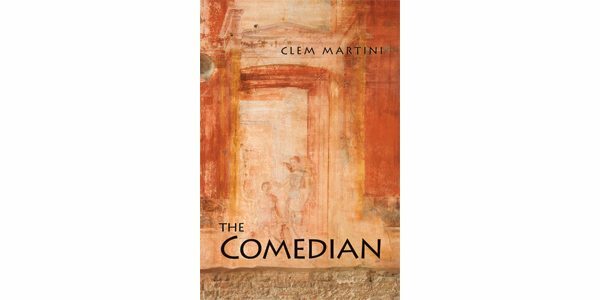 Prolific novelist, playwright, and screenwriter Clem Martini focuses on his beloved theatre world – the milieu in which he has spent much of his professional life – with this clever first-person novel about classical Roman playwright Titus Maccius Plautus, whose comedies are said to be the earliest Latin literary works to have survived in their entirety. Given Plautus’s influence on western drama, Martini has chosen an appropriate, though relatively obscure, subject to ground his novel. The story centres on the planning and performance of what is arguably Plautus’s first real success as a playwright: The Captives. Since the actual facts of Plautus’s life are unknown, Martini fills in the blanks with imaginative details, along with the creative interpolation of historical figures who were the playwright’s contemporaries. Fictional characters include a love interest – a brothel owner who funds Plautus’s productions. In Martini’s deft hands, the trials and tribulations of mounting a theatrical production in ancient Rome ring true today. While the behind-the-scenes drama – feuding playwrights, an alcoholic actor who goes AWOL, never-ending arguments between director and dramatist – would be familiar to any modern-day theatre practitioner, the violence of an earlier era tends to set it apart (the lead actor is kidnapped and tortured by a zealous upper-class woman who thinks he’s a slave). Martini’s wit, as well as his intimate theatrical knowledge, is apparent on every page. Attempting to write in the voice of the playwright whose first language (Latin) is moribund could be a daunting prospect for a less talented novelist. However, Martini cleverly utilizes modern-day speech with classical references to make the novel both accessible and historically accurate. The biggest challenge to the reader will be wading through what may seem like an overly long swath of exposition that, while painstakingly setting up a world unfamiliar to many, keeps the story from moving forward in its early stages. The momentum really picks up when the production of The Captives begins in earnest. Overall, The Comedian provides an enjoyable glimpse into the theatre’s classical roots, while illuminating an offstage drama that, for better or worse, still defines the thespian experience.